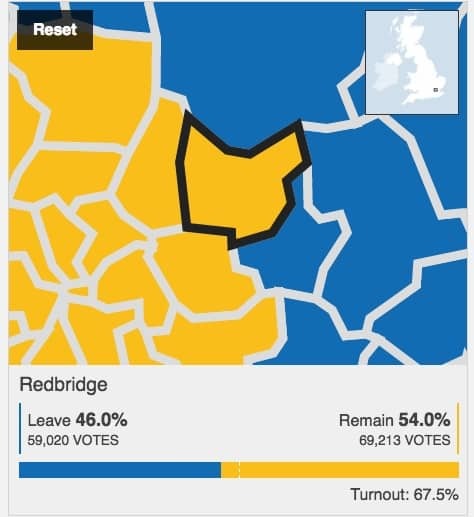 How Redbridge voted, as seen by BBC News. Full nationwide results, including how Redbridge compares to other London boroughs, are here. Thanks for pouring salt on our wound Ã°ÂŸÂ˜Â” sadly irrelevant now.